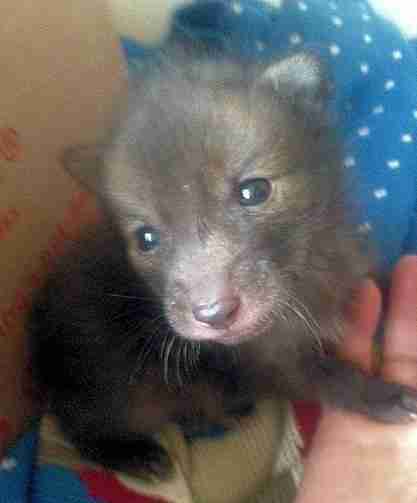 He was only two weeks old when a family found him in their garden in North West London. 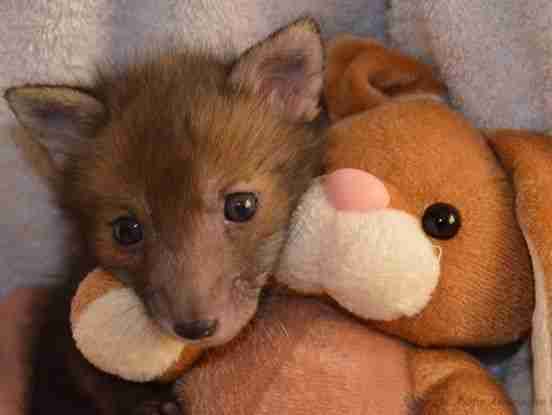 In mid-March, the RSPCA coordinated with the National Fox Welfare Society (NFWS), a volunteer rescue and rehabilitation organization, to provide a home for the young fox. 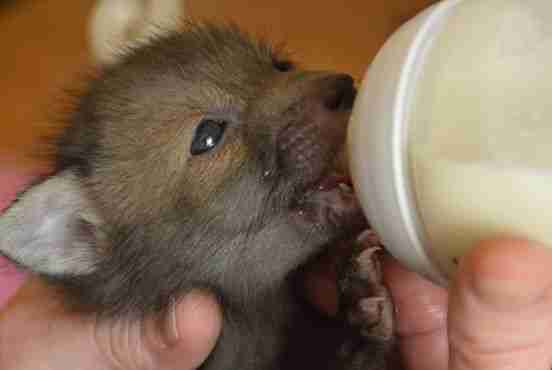 Orphaned animals are often found hungry and dehydrated after hours or days of neglect. Under the care of NFWS, Puggle immediately responded well to treatment. "When Puggle first came in he would often, like many of the cubs on the bottle, would just fall asleep in your hands after having his meal. So it was just a case of eat, toilet [and] sleep, every four hours," a representative from NFWS told The Dodo. 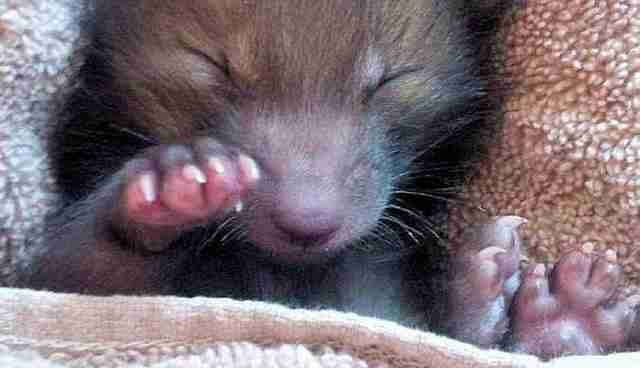 ... which is still pretty exciting when you're only a few weeks old. 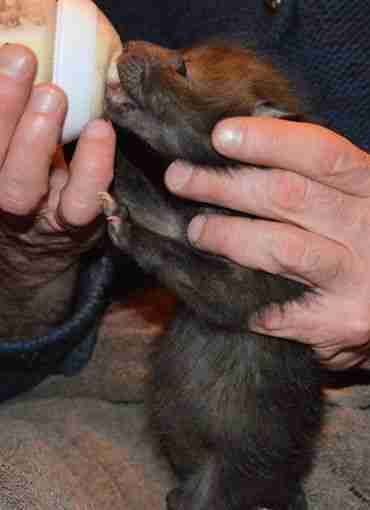 Puggle was the first fox cub of the season to arrive at NFWS, and he's been there for the past few weeks. 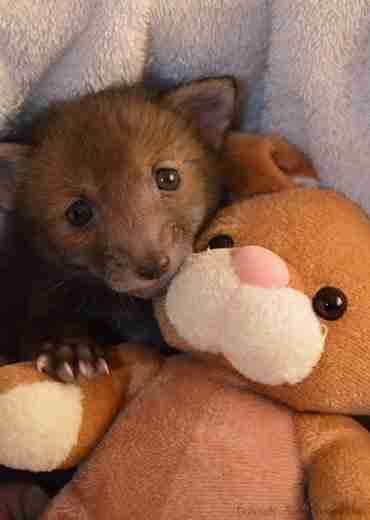 Recently, he's started to grow his adult-color fox fur, but he's still not too old to pose with his stuffed friend. "His personality is now coming through as he wants to play fight and he is just started to pounce on items," a NFWS representative explained. This is "an instinct that will, when he is an adult, help him secure, rats, mice, voles, etc." The photo above was taken just after his feeding time and right before his nap, which explains the sleepy eyes. He needs his rest, because he's a young fox. But as the photo below shows, he still has a lot of energy. NFWS will care for Puggle until he's ready to be released back into the wild, but he still has a bit more time left under the organization's care. Puggle will have what the NFWS representative calls a "soft-release" back into the wild, which involves Puggle being integrated into another fox family in a pen. "He will first be introduced to 3-4 other cubs his own age and size," according to the representative. 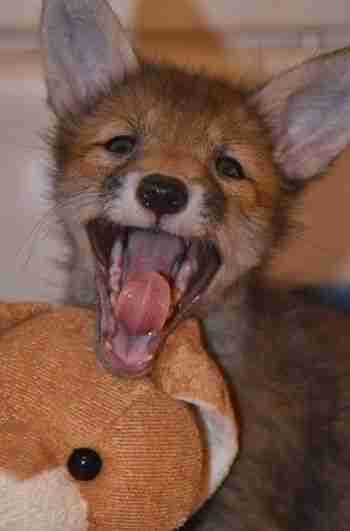 As an all-volunteer organization, NFWS organizes the rescue, recovery, fostering and releasing of foxes back into the wild. To learn more about its work, visit the NFWS Facebook page. Additionally, you can enjoy a video of Puggle during feeding time from when he was a small cub.